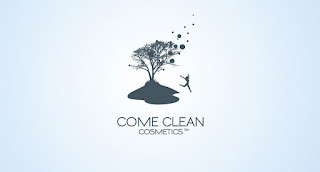 Come Clean Cosmetics is a Toronto based company that is committed to providing the purest and most effective natural products proven to nourish the body. They have created the only natural fiber exfoliating mitt that visibly removes dead skin cells to reveal younger, smoother skin! They sent me their exfoliating mitt and here is my review. I was excited to use this exfoliating mitt since I know the benefits of exfoliation and have never heard of a natural mitt for exfoliating. Normally I use body scrubs and they seen to get the job done just fine. But to my surprise, the exfoliating mitt really makes a difference and works better then a body scrub! I love that it's made with 100% natural fibers from Morocco and it left my skin much softer, smoother and more even toned. This skin care regeneration method has been practised for centuries in European and Turkish baths. It's a bit rough to the touch but doesn't hurt and was very easy to use. You can feel good about using it since it's made with 100% natural fibers and eco-friendly. It does a fantasic job of removing dead skin cells, revealing smooth, soft skin. What I love about this product is that it lasts an entire year, so you don't have to keep replacing it. What's not to love about a natural, eco-friendly, exfoliating product that saves you money?! Read the benefits of using the exfoliating mitt here and watch the instructional video. You can learn more or get yours at Come Clean Cosmetics and be sure to add them on Facebook page. It retails for $29.99. you soon as soon possible.